Mascara Reviews on the Best Mascaras on the market. Most Mascara Reviews don't give you all of what you are looking for, they give you the fluff without the substance. Many women are asking what is the best mascara for my desired look? Whether you are looking for the best lengthening mascara, a volumizing mascara or perhaps just the best drugstore mascara, I will go over the top ten mascaras on the market right now. According to Consumer Reports women spent $400 million dollars on mascara alone last year (2008)! So if you're spending that much money on it, you want to make sure you're getting your money's worth. get rid of it after about three months and don't share mascara with anyone else. This mascara forms tiny tubes around each lash. Once applied, the tubes bind to your lashes and cannot run, smudge, clump, or flake, even if you cry or rub your eyes. What else you need to know, this mascara adds both volume and length, to give you a radiant natural look that lasts all day. This is a great lash mascara because it protects the lashes as it coats them. Neither water nor pressure alone will remove Kiss Me Mascara. Only the combination of lots of warm water and gentle pressure will slide the tiny tubes of mascara off your lashes into your hand with little effort. The price for this volumizing mascara is usually around $23-24 dollars. The mascara is designed to expertly separate and extend your eyelashes while lasting hours longer than any of the other leading mascaras. From the elegant packaging, to the flexible non-clumping rubber wand, I like this product because it lifts, lengthens, and darkens without creating an overly heavy look. Its perfect for daytime use and can be applied heavier without clumping for a more dramatic look. Color choices include soft black, rich black, black brown, and deep auburn. The brush on the wand is straight, and it is pretty robust, but there is also a curved brush tube available. You don’t have to hold yourself in weird positions to apply the mascara. The particular version I got is not waterproof either, but there is a waterproof version out there called Max Factor 2000 Calorie Aqua Lash Mascara , but I noticed it was only available in brown and black. A word of advice when applying (my own makeup revieww), too much (especially letting it dry between coats) and you will end up with big globby eyelashes, with this one less is defintly more. Its not the best if you are looking for length in a mascara but its really great for volume. Water, Glyceryl Stearate, Ammonium Acrylates Copolymer, Quaternium 18 Hectorite, Propylene Glycol, Stearic Acid, Carnauba, Triethanolamine, Synthetic Wax, Acrylates Copolymer, Polyvinyl Alcohol, Propylenecarbonate, Lecithin, SD Alcohol 40B, Sodium Laureth Sulfate, Oleic Acid, Phenoxyethanol, Ethylparaben, Trisodium EDTA, Simethicone, Xanthan Gum, Panthenol, Benzyl Alcohol, Propylparaben, Methylparaben, Glycerin, Iron Oxides, Titanium Dioxide, Ultramarines. This mascara is the number one mascara sold around the world. There is a Maybelline Great Lash Mascara sold every 1.6 seconds! Why is it that Maybelline's Great Lash always finds its way into every makeup artist's kit, and every 'favorites' list in the beauty magazines, and in Mascara Reviews? Long story short: It's dependable and it works. It adds volume, applies evenly onto the lashes and defines and separates each lash. It does a great job of lengthening the lashes also. Definicils goes on light, yet lengthens lashes beautifully without the clumps you get with other mascaras. It will stay on all day, through rain, sweat and tears. I remove with Lancome's Bi-Facil makeup remover, regular moisturizer or Vaseline. It comes off without a hitch. One important note, Definicils is a lengthening mascara, not a volumizer. 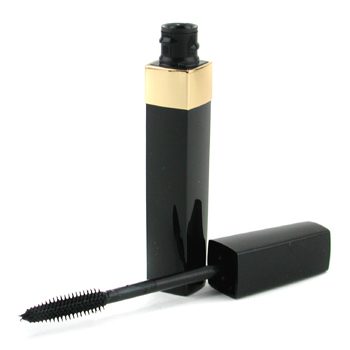 If you are looking for volume you might prefer a volumizing mascara like Fatale by Lancome. This mascara comes in a variety of different colors, including: Dark Brown, Brown, Navy, Indigo Royale, Aubergine Royale, Black and Deep Black. -Each bristle is grooved to hold the product, allowing gradual application and even spread of the formula. AQUA (WATER), PARAFFIN, STEARIC ACID, CERA ALBA (BEESWAX), ACACIA (ACACIA SENEGAL), CARNAUBA (CARNAUBA WAX), TRIETHANOLAMINE, SIMETHICONE, SODIUM POLYMETHACRYLATE, AMINOMETHYL PROPANEDIOL, HYDROXYETHYCELLULOSE, PANTHENOL, POLYQUATERNIUM 10, IMIDAZOLIDINYL UREA, METHYLPARABEN, PROPYLPARABEN, MAY CONTAIN (+ -):, CI 75470 (CARMINE), CI 77007 (ULTRAMARINES), CI 77288 (CHROMIUM OXIDE GREENS), CI 77289 (CHROMIUM HYDROXIDE GREENS), CI 77491, CI 77492, CI 77499 (IRON OXIDES), CI 77510 (FERRIC FERROCYANIDE), CI 77891 (TITANIUM DIOXIDE), MICA. InStyle Magazine named L'Oreal Voluminous its Best Beauty Buy mascara in the 2005 issue according to its Mascara Reviews. Enhanced with hair conditioners panthenol and cermide-R, for a great overall budget mascara, consider L'Oreal Voluminous. It makes lashes look full and dramatic, according to makeup artists mascara reviews they love it because, like the other best mascaras, it adds volume without clumping. A tube of L’Oreal Voluminous Mascara in Black will transform your invisible eye lashes into beautiful black natural looking lashes that are perfect for any complexion. It provides great coverage and is easy to apply. Best of all it does not make your eye lashes crunchy. You can choose a straight application and or a curved application wand for ease of application. 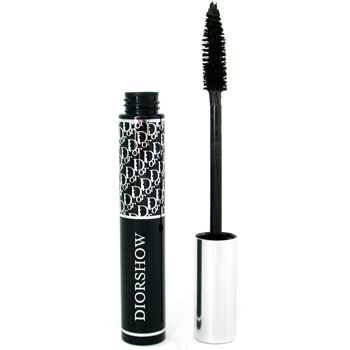 Named Best Overall Mascara in InStyle magazine's "Best of Beauty" (April 2009 issue, p190) by its mascara reviews! It lengthens, it adds volume, it holds a curl well (note, use an eyelash curler first for best results), and it lasts all day without flaking or smudging. This Mascara come in: Black, Chestnut, Plum, and Azure Blue. According to this mascara reviews the most popular colors have been Azure Blue and Black.